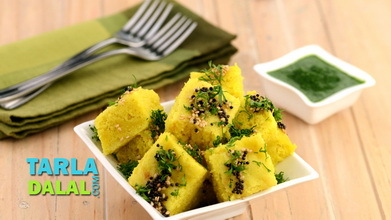 Soya Khaman Dhokla brings a healthy twist to the traditional favourite by combining soya flour with the gram flour used to make the batter. 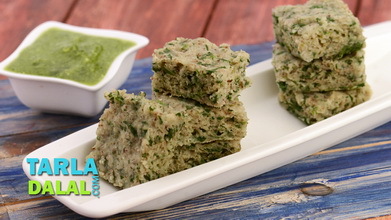 This peps up the iron, protein and folic acid content of this desi snack, making it a healthy treat for pregnant women. 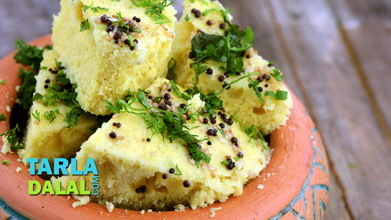 Remember that the consistency of the batter and perfection in tempering are two keys to the success of any dhokla, so pay attention to these aspects. 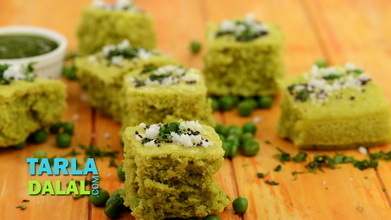 Serve with green chutney. 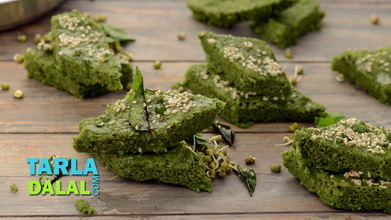 Combine the soya flour, besan, semolina, sugar, lemon juice, ginger-green chilli paste, salt and ¾ cup of water in a bowl and mix well to make a thick batter. Pour the mixture into a greased 175 mm. (7”) diameter thali and steam in a steamer for about 10 minutes. 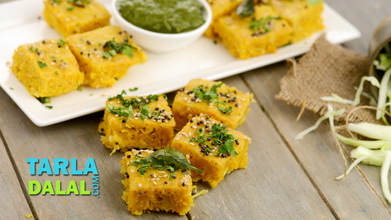 For the tempering, heat the oil in a small non-stick pan and add the mustard seeds, sesame seeds, green chillies and asafoetida. 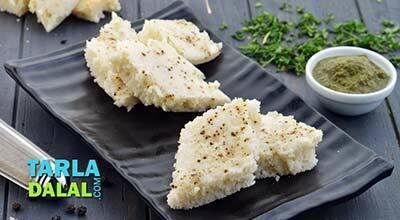 When the mustard seeds crackle, add 1 tbsp of water and pour this tempering over the steamed dhoklas. 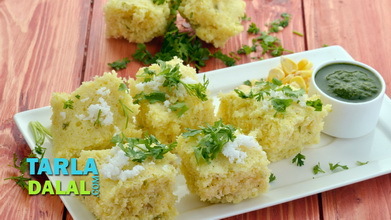 Cut into pieces and keep aside to cool slightly. 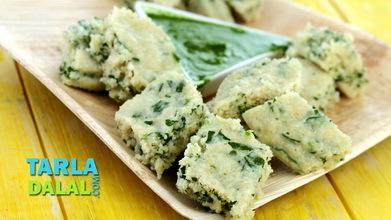 Pack in an air-tight box along with nutritious green chutney.